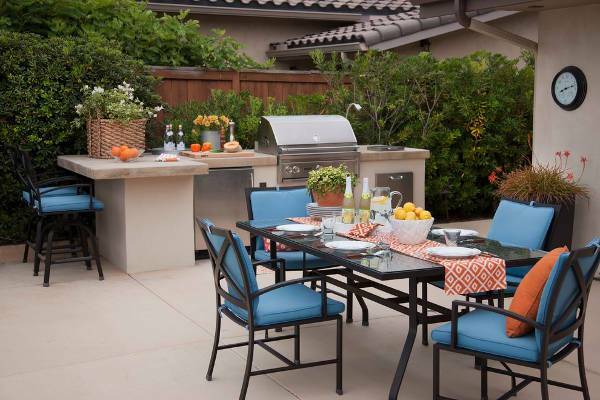 You can decide between a portable and a permanent kitchen island design. 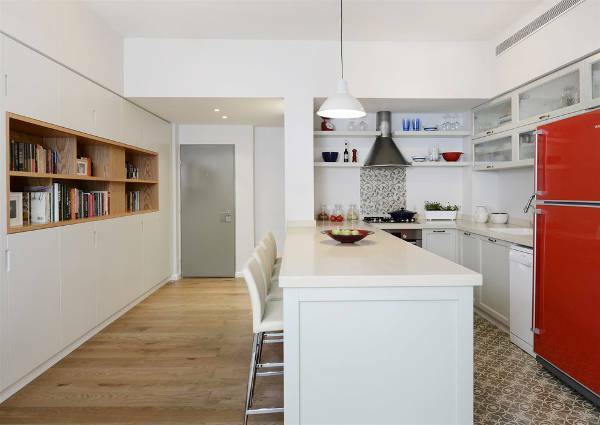 Folding options will be handy in open plan kitchen since they can act as dining tables too. The available designs come in various materials with elegant lines. Storage is always needed in kitchens. You need to find kitchen cabinets that will help you store all your kitchenware easily while providing you with a stylish design. The style can be adjusted to every kitchen depending on your tastes. 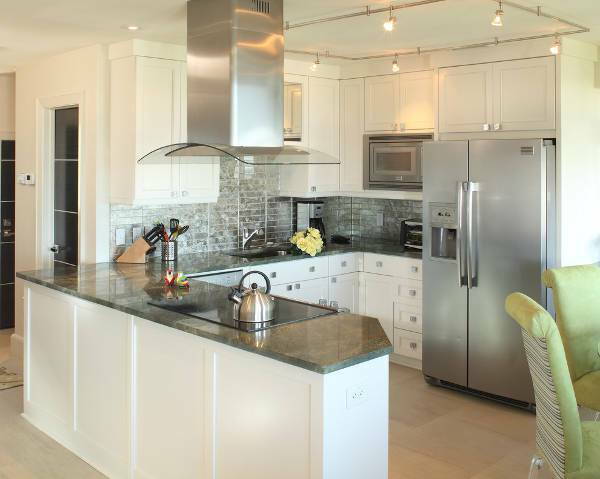 A galley kitchen needs a smart design that will help you work your culinary skills to the fullest. You need the space to be bright and pleasant while maintaining a level of style through the materials and color combinations. Ample light is needed while cooking. You can find in the market a huge variety of lighting designs that will help you complete the kitchen’s look while maintaining the style. 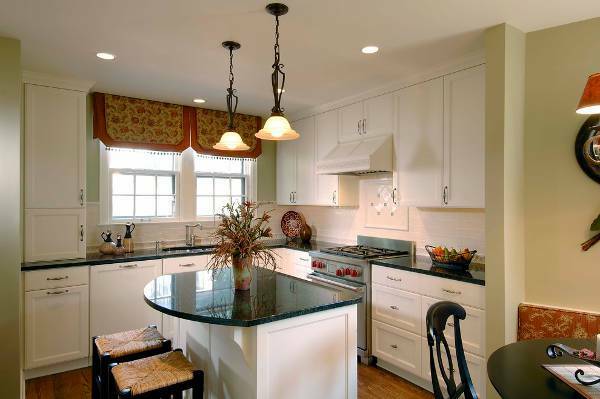 From pendants to recessed lighting you can find anything you need. 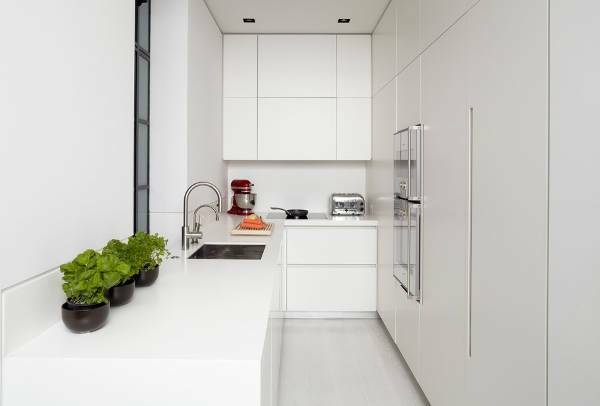 The minimalist design of the modern style kitchens will make your space look clutter free as well as organized with elegant cabinet designs. 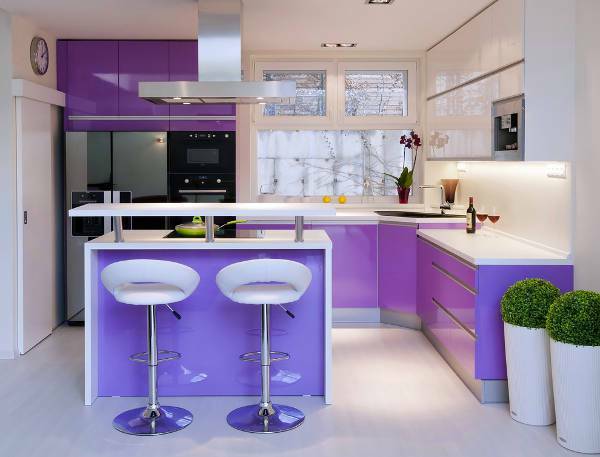 You can choose unique color combinations to add an interesting contraction in your kitchen adding pops of color. 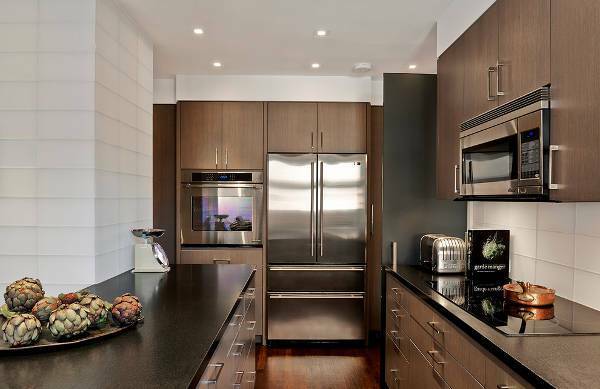 L-shaped kitchens have an elegant look that is convenient when the space is constrained. 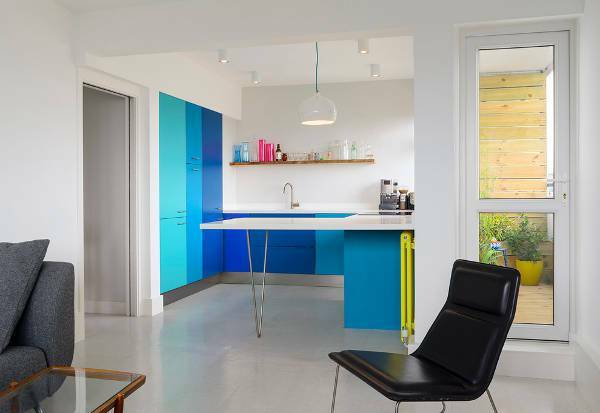 You can have it in any style you like while you can follow a certain color scheme in case of an open plan kitchen design. Your kitchen will look adorable with painted cabinets in bright colors as well as with open shelves that will add a strong visual interest. 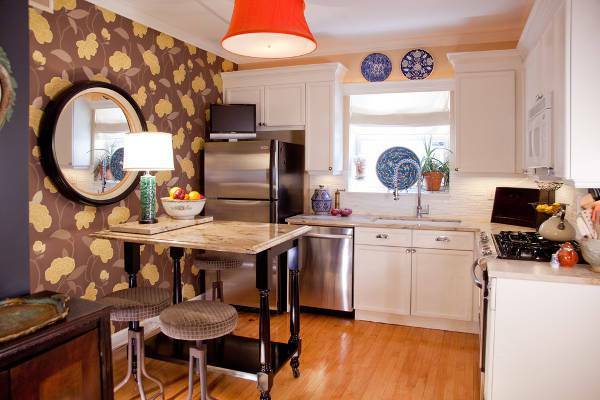 Wallpaper in cottage style will help you complete the look along with the right fixtures. 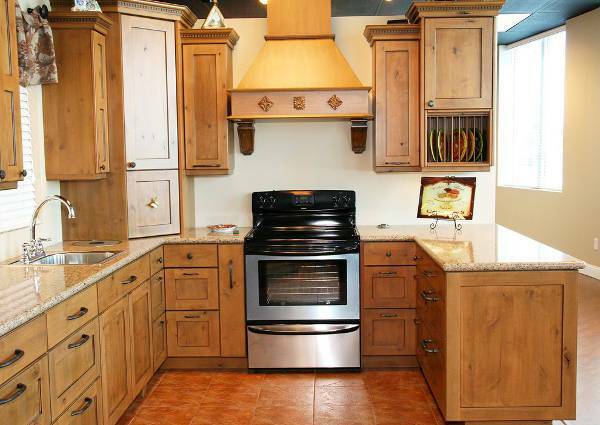 Wood with grains is the key feature for a successful rustic style kitchen. The small size of the space will make the kitchen look cute and stylish with a worn look that will bring a high-quality antique style. The basement has limited or no natural light. That makes lighting fixtures a must as well as a bright colored kitchen design that will brighten up the space reflecting the light. You can choose from a variety of styles and materials. 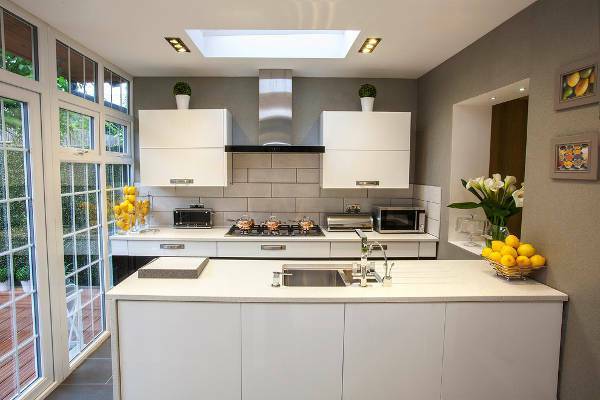 For open plan layouts, you can either follow the general style of the space or you can go for a statement design that will make you kitchen stand out. 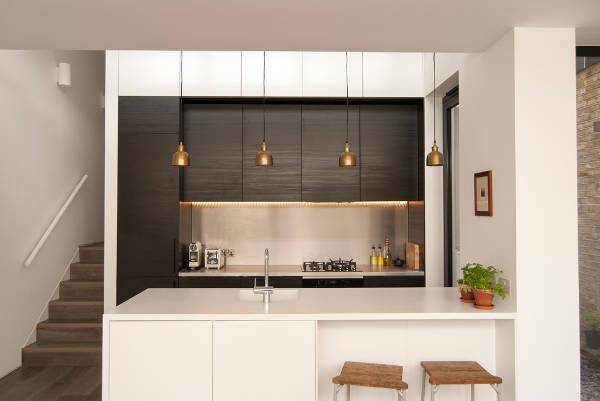 You can divide the space with a kitchen bar for elegance. 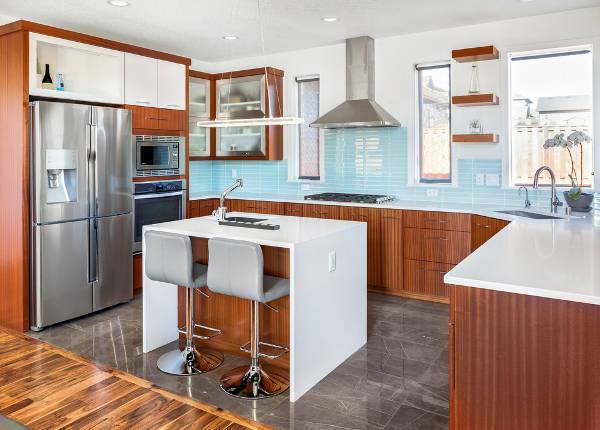 Depending on the style, you can have the appropriate cabinets design and layout that will help you cook in a stylish space. Use colors and textures to add visual interest in the space. 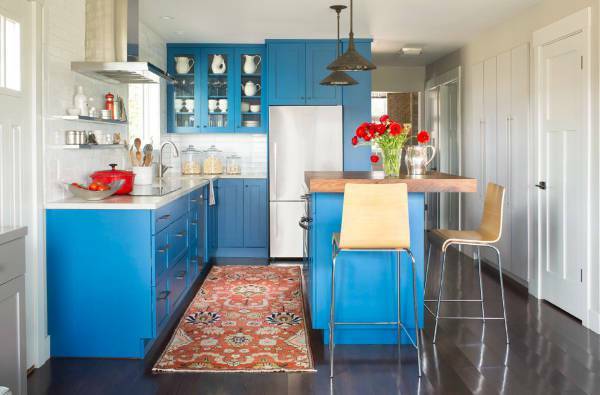 If your kitchen is small then you can make it look scrumptious with a colored tile design. This will help you add an interesting visual design that will look eye catching. You can also choose to have a high contrast color combination to bring elegance in the space. Additionally, a small designer breakfast table will make your space look complete while it can accentuate the kitchen’s chosen style, bringing an impressive design for extra effect. 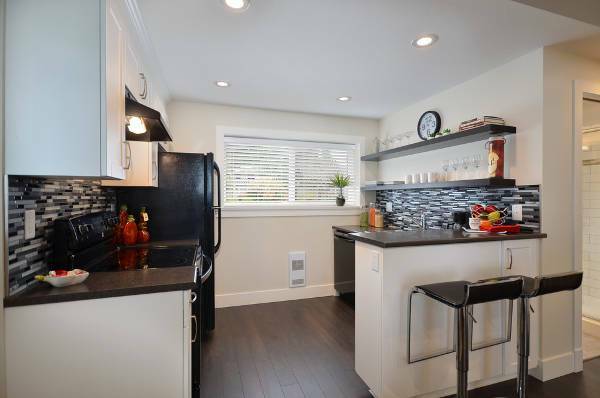 Many kitchens have the luxury to have space while others don’t. The challenge might be hard to win, however, you can get an amazing result with a small kitchen. From the kitchen island to the cabinets and from the appliances to the flooring you can choose anything that appeals to you.